This is an absolute quality repress. Cristal clear and baning beats. Get it while it’s still available! Tape is as beautifully mastered as the CD and Vinyl releases of the album. 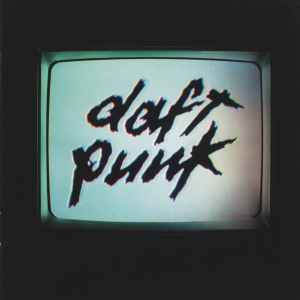 Human After All is probably the best mastered album out of the 4 studio albums. Very little hiss is some spots, absolutely none throughout the rest of the album.If you can pick up this item, go for it. It is a must have in a collection and is just a beautiful tape overall. I just bought vinyl copy with the Parlophone logo in the back. I don't think this version has been added yet. But I don't know when it's been released. I've noticed that there are two different releases of this record. Is the Virgin release or the Astralwerks version better? Or ar they both good? Is this really a repress? Because mine has a promo sticker on it "NEW ALBUM | Human After All" etc. implicating that it's an original release. I can't believe how many people think this album wasn't some of their best work. If they released an ep every six months with this kind of content your eyes would explode out of your sockets. People may be upset they didn't get another discovery but probably only because they make us wait so darn much before they show what they've been working on. I think history will show this as a masterpiece.